Hey, everyone! 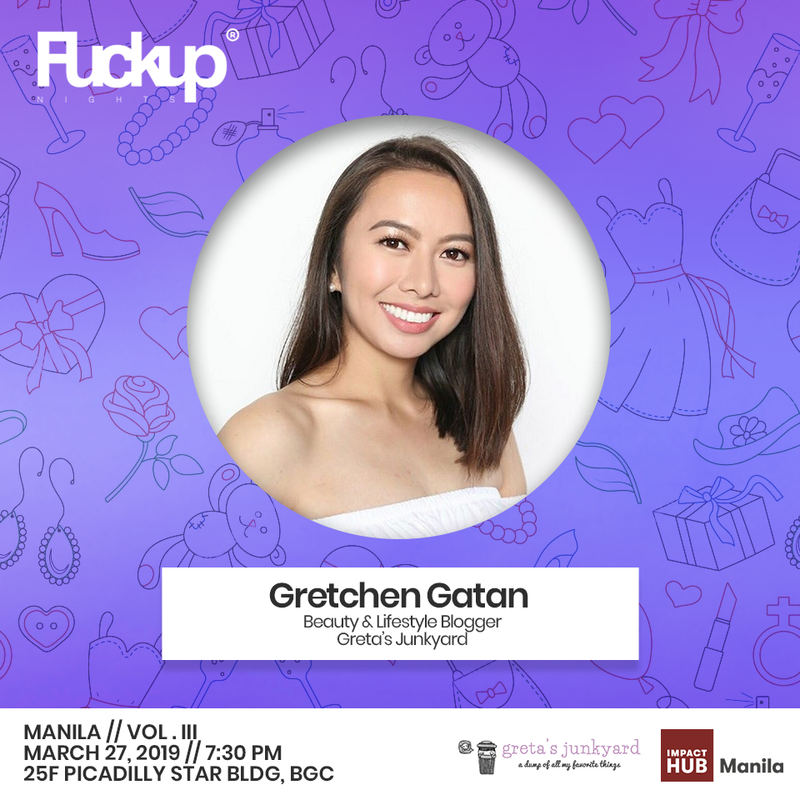 I was recently invited by Impact Hub Manila to join Volume III of their 2019 FuckUp Nights. Hahaha. It still feels so weird to be typing that “F” word. But anyway–it all started in 2012 when a group of friends in Mexico gathered once in a while to talk about their failures, which eventually paved the way for their success. Impact Hub believes that failure is something we shouldn’t be afraid of hearing or experiencing, and so every last Wednesday of the month, they consistently put together an event where we can all learn from inspiring stories of entrepreneurs, and how they managed to overcome their failures! This March 27, to close off International Women’s Month, I’ll be joining three other She-EO’s in talking about the struggles and challenges each of us went through, to get to where we are today. Despite this pushing me out of my comfort zone once again, it’s definitely an honor to be alongside these women, and to be given a platform to inspire and empower others the best way that we can. I hope to see you guys there! For more information, click here. The event is also open to walk-ins! I love the concept! Keep inspiring people Ms. Gretch!